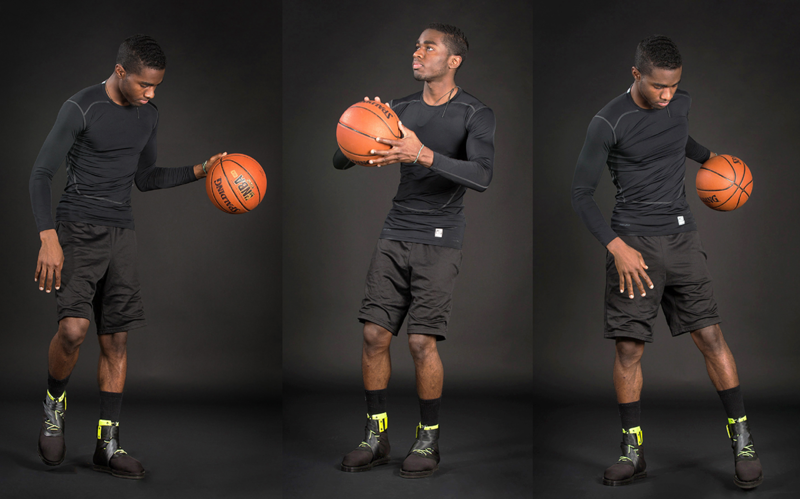 Having played basketball in high school and college, I have suffered multiple ankle injuries, but only after I hurt myself did I wear braces as a precaution. 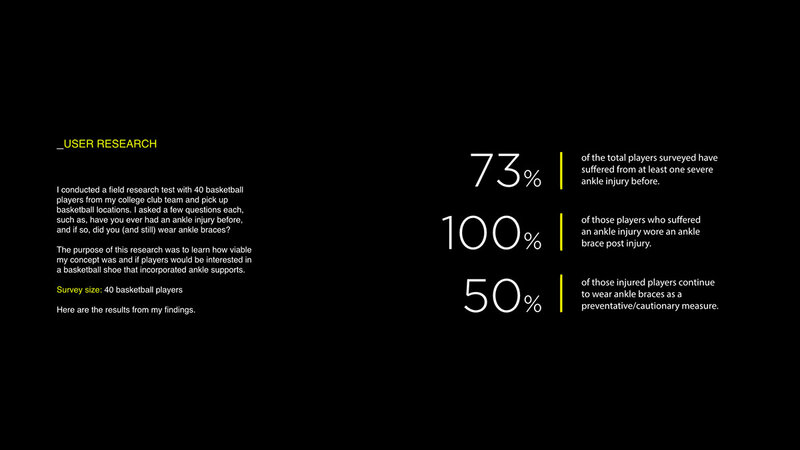 Turns out, of the players who took a survey I conducted on ankle injuries, 75% of them said they only wore medical braces after they were injured. 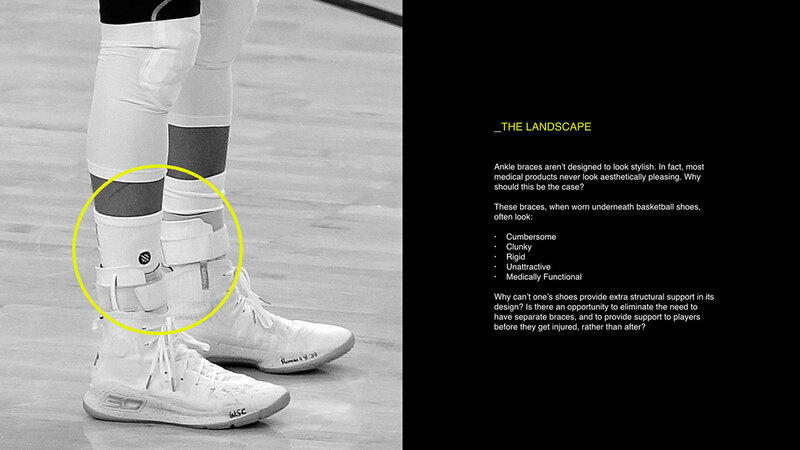 The challenge was to design a footwear concept that incorporated structural ankle support in its design to help better prevent ankle breaks, sprains and strains. 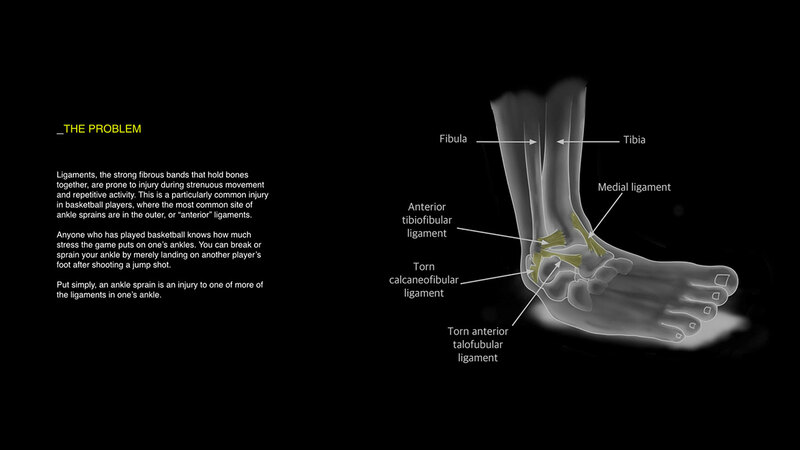 Joseph Crisco, professor of orthopedics and engineering research at Brown University, who also has expertise in lower body anatomy, acted as a consultant during the design process. 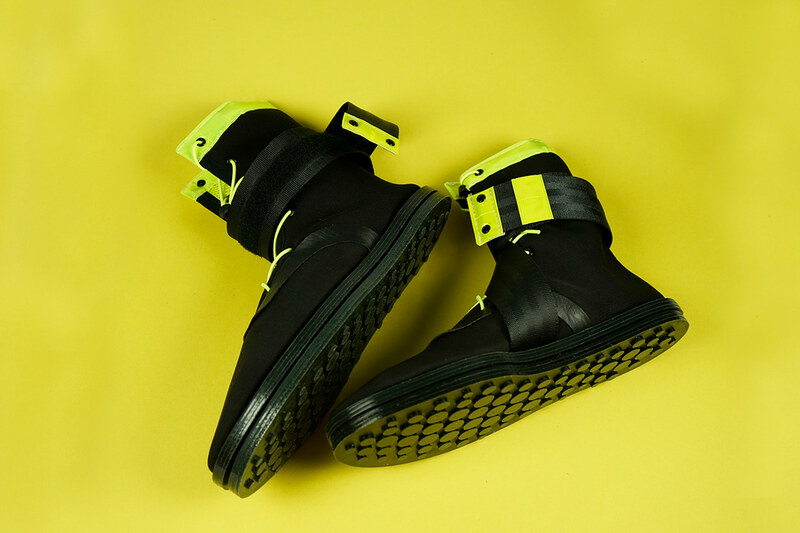 The F8S High Tops are a pair of ankle-stabilizing sneakers designed, handmade and lasted while I was a student at RISD. 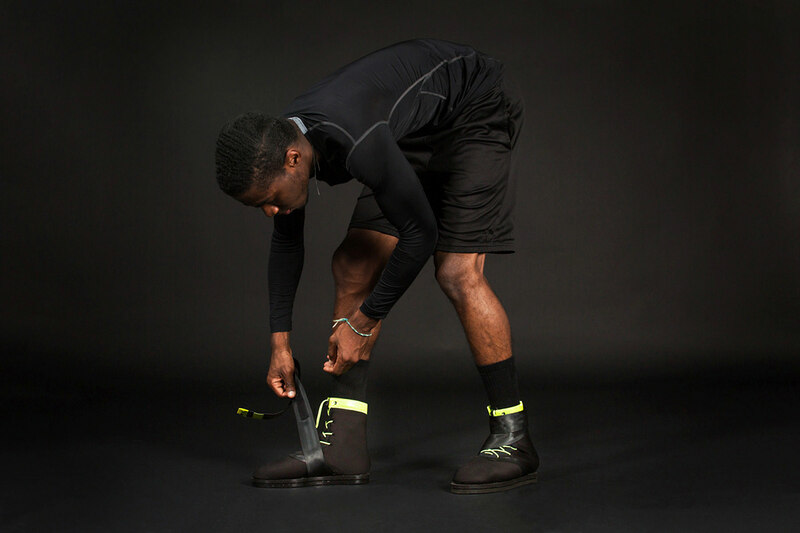 Structurally supportive figure-eight straps wrap around the silhouette of the shoe to protect ankle ligaments, eliminating the need for external ankle braces, with reflective yellow accenting alluding to safety precaution. 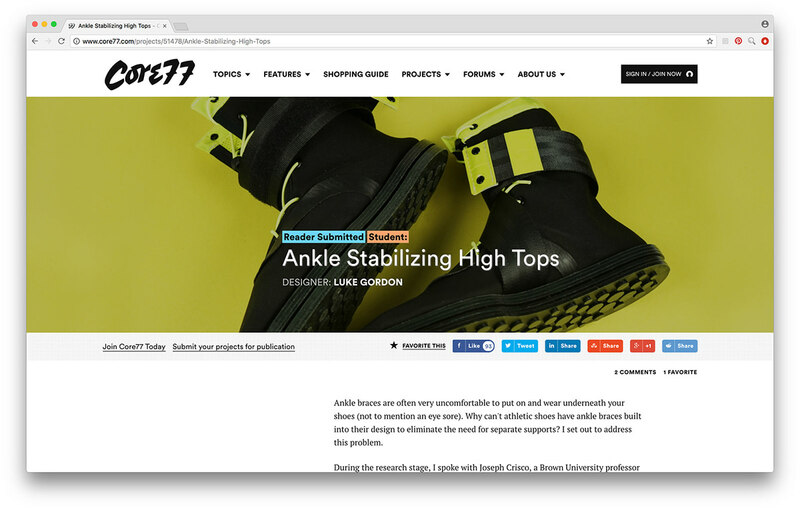 Design inspired by boxing boot silhouettes. 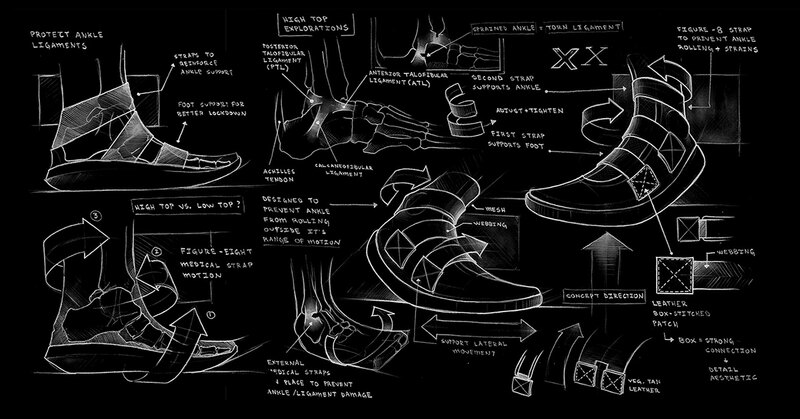 Soles of the shoes were made casting rubber silicon in layers of laser cut acrylic sheets.